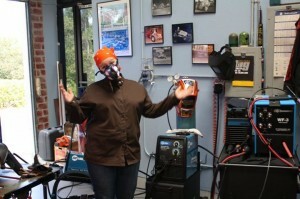 Arc-Zone’s Joanie knows the importance of good respiratory welding safety! It’s something we all do without thinking about it most of the time: breathing. In fact, breath is the life force of the human body, it keeps our muscles working and our brains thinking. In other words, breathing is really important and respiratory welding safety should be an integral part of your shop’s welding safety plan. Welding fume actually includes small particles of metal oxides and other compounds that are released during the welding process. The specific ingredients varies depending on the welding process, the base metal, the filler rod, the tungsten electrode, any surface coatings, not to mention any contaminants and the type of shield gas utilized. You may be exposing yourself to carbon monoxide, ozone, nitrogen oxide, and/or gaseous fluoride and phosgene. Immediate health effects from breathing welding fume range from eye/nose/throat irritation to dizziness and nausea. Long-term exposure can result in lung damage, organ damage, nervous system damage, and even cancer. 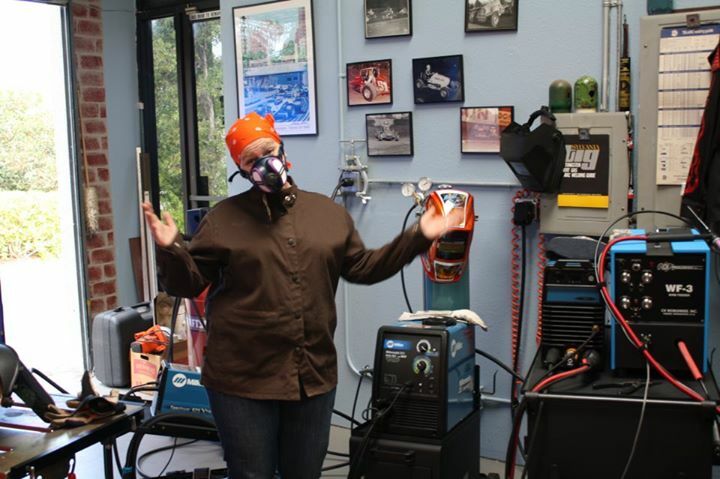 It’s only recently that the industry has really recognized the respiratory safety hazard in welding, and several manufacturers have stepped up to provide equipment to protect welders. Obviously there are welding safety solutions such as ventilation and exhaust systems for your shop. There are even mobile ventilation systems. But these aren’t always feasible depending on your individual welding application. 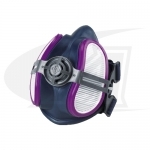 One of the products we like here at Arc-Zone is the Half Mask Respirator from the folks at Miller. It is a reusable and fits under most helmets. The Half Mask Respirator filters 99.97% of airborne particulates and is made of medical grade materials that are odor free, non-allergenic, latex, and silicone free. Arc-Zone’s Joanie (pictured above) says, “I use it all the time and LOVE it. It fits nicely under my Miller Digital Elite Helmet. The replaceable cartridges are easy to install and not too pricey.” In fact, the half mask is only $28 and replacement filters are $11 each. 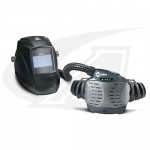 For a more robust (and yes, pricier) respiratory safety system, we also offer the PAPR System from Miller which includes a light-weight, high-efficiency respirator with the top-of-the-line Titanium series auto-darkening welding helmet. And “Fumes and Gases”, “Chromium and Nickel in Welding Fume”, and “Respiratory Protection Basics for Welding Operations” (and much more) from the American Welding Society’s collection of fact sheets.